We are indie movie production that is called “Kutsushita Planning” that is based on Japan. 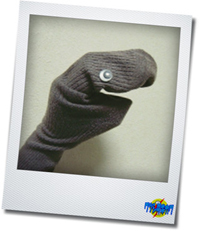 “Kutsushita” means socks. 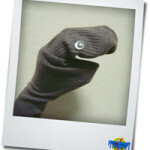 Because we often use socks puppet as an actor. Our team are creating not only long/short movies, but also create stage plays, audio dramas , conceptual art exhibitions , live broadcasting event, cultural exchange project …etc. Please allow me to introduce our production briefly. Why our works cover a wide media? Because we always work over ideas without supposing media at first, after that we consider which media is the best for expressing the project’s theme and concept. If we think it requires visual image for expressing the theme of it, we produce it as a film. Or when we think verbal expression is the best, we’ll manage public reading for it. Because of it, sometimes our projects become combination of multi media. For example, we are progressing unique international cultural exchange project that is called “Harubaru hero”. It’s not a just “filming” project because it include movie producing, event, international exchange management, and so on. Our goal is making many kinds of media by according to two spirits. One of the spirits is flexible and bold planning skill of indie movie making. Other one is professional skill of postproduction. I believe that this is our most characteristic point. All of our members are professional in each field such as industrial design, product design, composing, and filming. And responsible person is an “outsider” from ordinary filmmaker field. Because he had been worked as a teacher for 15 years and he prefers investigating ethnological facts to watching films. He traveled many places to investigate interesting cultural facts. Taiwan, England, Noto peninsula in Japan, and so on. “Outsider” makes very characteristic plans. And our professional members shape them into high quality media. For example, “CAPTAIN VIVID” is a running project like an “outsider art” meets “Science fiction”. “VISA-GIREN : the illegal entry demigod” is a super hero theme stage play is based on the hypothesis about origin of Japanese. And “Taiwan BQ movie” is a collaboration project with Italian director and Taiwanese staff. It’s a gigantic robot story with the theme “spread of culture by ocean current”. Our goal is to make the media that are “not for everyone but some of them definitely will love them very strongly”. Before describing our activities, let me introduce the member of this production. After 15years working as a teacher of special education, he founded “Kutsushita Planning”, a indie movie production. He is in charge of planner, screenplay, director, VFX, and so on. Also he works as a writer and event planner. Please refer those site below if you have time. He directs commercial film, advertisement, and large scale event as a director. Even at those events, he appears as an EMCEE. Also he produces websites, stage play props, and other media as a designer. He is not only a professional editor, but also a talented cameraman and a well experienced sound director. He can deal with whole process of movie project from technical view. He is a multi talented product designer who makes products in many fields from props to special make-up. For example, commercial films, TV reality shows, and major movies. His current major works are “Tokyo gore police” , ”Samurai robot Zaborger”, “Melon-bear”, and so on. His high quality products and flexibility has an excellent reputation. She appears in many commercial films. And she is a photo model of Nobuyosi “Arachy” Araki. She also has been joining many cultural and sport exchange event in Sapporo city as a Korean interpreter. He is really talented musician who has worked with Japanese famous musicians such as Tomobe Masahito, Morio Agata, and Seasers. He is also a movie composer. His peerless music is appraised in many countries and generations.